For more than 45 years, Reeves Import Motorcars has been improving the way drivers in our community experience premium automotive service. Today, we’re proud to unveil an all-new service business that furthers our commitment to providing premium automotive service and benefits. 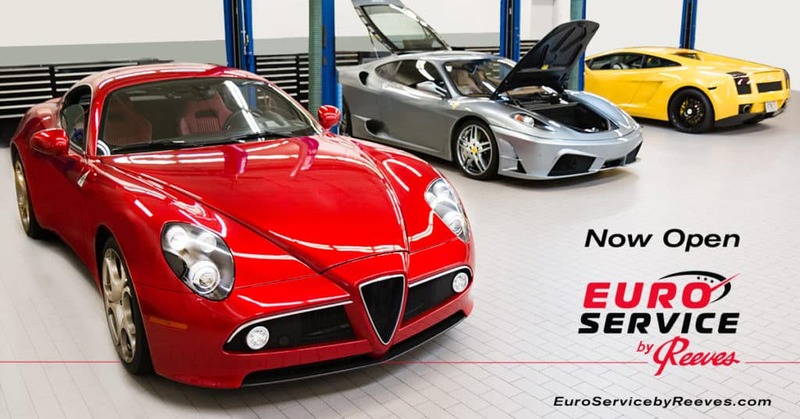 We proudly present EuroService by Reeves™ – where our decades of expert service knowledge is extended to drivers of exotic European vehicles throughout the Suncoast. What’s different about EuroService by Reeves? From start to finish, your vehicle is protected from the elements, because we store it indoors at all times. You never need to worry about the perfection of your vehicle’s appearance, or its exposure to natural elements, while it’s in our hands. EuroService by Reeves offers convenient valet and vehicle carriage options. Enjoy the unrivaled convenience of door-to-door pickup and drop-off, without putting miles on your exotic car. Our expert, certified technicians provide top-tier results by applying hundreds of combined years of premium automotive experience, providing unsurpassed know-how and state-of-the-art equipment with exceptional convenience. Whether you’re looking to upgrade your car with premium after-market performance parts and equipment, or your car is in need of maintenance or repair, EuroService by Reeves provides protection, convenience, and pricing that is unrivaled in Tampa. Schedule your service to discover how Reeves is changing the way drivers think of luxury European service. Call 813-375-3520 or schedule below. Visit the Motorsports by Reeves building for service.